I have just import your application test in my jdev but when i deploy the ViewController to a war the size of file is 5mo i would like to know which librarie choosen in the profile of deploy WEB-INF/lib Contributors, because i have test many time to deploy a fusion project to glassfish but always there is a problem. Sounds like you are deploying on ViewController level, you should deploy from Application deployment archive instead (EAR). Select Glassfish deployment profile. can you explain me what does mean this error. This is wrong URL, it must include application context path, /faces and main page. on my browser and no problem, please can you give me explication and thank you. This means deployment fails, you should check error in Glassfish log. 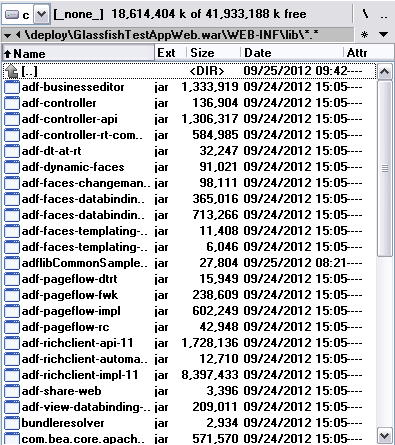 have you already tried to deploy adf faces demo application (rcf-dvt-demo.war) to Glassfish? I tried this but without success. Nope - I didnt tried that one. However I tired FOD Demo app - it was not working. Was throwing errors related to EJB, because they have ADF BC exposed as Web Services (this is not supported). I saw you are getting error related to DVT Managed Beans, it might be this is trying to invoke some ADF Essentials not supported feature. You should extract that XML and check what it defines. have you tried to deploy an application that contains declarative components to Glass Fish. 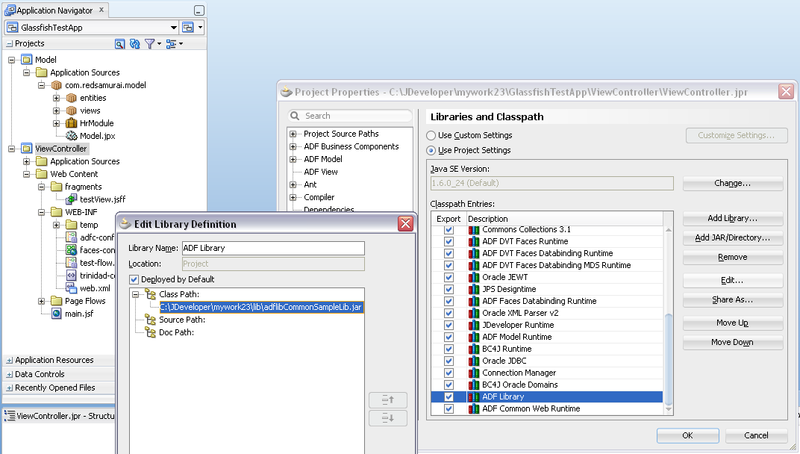 I have to deploy ADF application on glassfisg server that uses bean data control(consuming web server proxy). I am able to sucessfully deploy it on glassfisg but while running it gives java.lang.ClassCastException: oracle.jbo.mom.DefinitionContextAgeable cannot be cast to oracle.jbo.mom.DefinitionContext error. Can you please suggest how to sucessfully deploy this application? application (localhost:8080/gfadftest) I get HTTP Status 404 error. 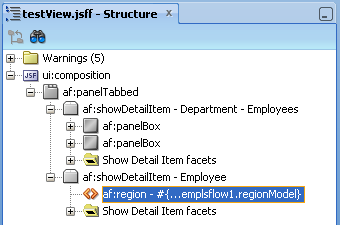 This means Glassfish is not configured correctly to run ADF, or you are missing JDBC connection declaration. I was able to successfully deploy the app. 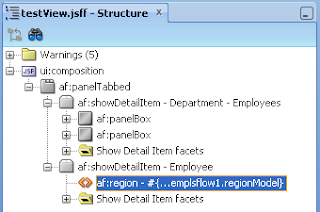 I have to create a JDBC resource with name "jdbc/HrDS" in GlassFish Server. (This resource is used by CommonSampleLib and GlassFishTestApp apps). which points to JDBC Connection Pool for HR Schema in XE database. Cool. This was my previous suggestion as well. I have the same error as Raman has: java.lang.ClassCastException: oracle.jbo.mom.DefinitionContextAgeable cannot be cast to oracle.jbo.mom.DefinitionContext error. I triple checked my jdbc connection and they are corret. My glassfish server otherwise run adf applications fine but the one I am trying to run. Do you have any suggestion as to what could be wrong? Isn't there a way to share more jar files instead of bundling them into the EAR file ? ViewController WAR is 83 MB and the size of the lib folder for the Application is 31 MB. Isn't there any way to share more .jar fils into the Glassfish lib folder instead of packing them each time in the EAR file? 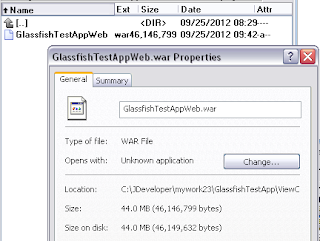 Could you try to deploy your sample web application to GlassFish 4? Exception Occurred :Error occurred during deployment: Exception while loading the app : java.lang.IllegalStateException: ContainerBase.addChild: start: org.apache.catalina.LifecycleException: java.lang.RuntimeException: com.sun.faces.config.ConfigurationException: java.util.concurrent.ExecutionException: java.lang.NoClassDefFoundError: org/jvnet/hk2/component/Habitat. Depoyment on GlassFish 4 should be possible since this article works for OEPE. I will do it, will put on my TODO list. Application working for me after doing this. Please send me your web.xml and glassfish-web.xml sample. 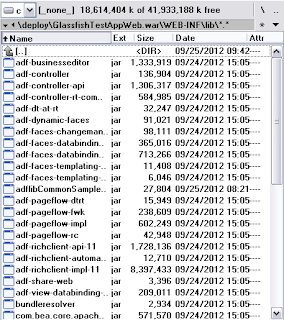 Did you try ADF 12.2.1 on Glassfish 4? Hi, You can find web.xml inside sample app. No, didnt tried 12.2.1 on Glassfish. 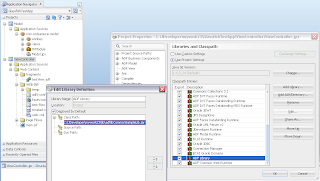 'Which Servers can I deploy Oracle ADF Essentials on?